The Council of Bishops of the Ukrainian Orthodox Church (Moscow Patriarchate) declares its readiness to hold a meeting with Ukrainian President Petro Poroshenko, but only on the church territory. 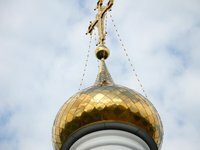 "The Council of Bishops of the Ukrainian Orthodox Church confirms its readiness to meet with the president of Ukraine, but on the church territory," the vouncil said in a statement adopted at the meeting on Tuesday. The statement also explains that the Council of Bishops of the UOC-MP decided to meet with the president, but not at the Ukrainian House, but on the territory of the Kyiv-Pechersk Lavra, which was immediately reported to the president. However, Poroshenko refused to meet, the UOC-MP states.